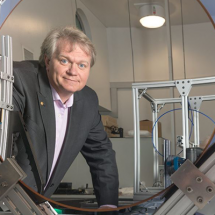 Prestigious achievements like the Nobel Prize create powerful networks. Within these networks, scientists share ideas, researchers collaborate with resources and writers cover stories. How can we monitor and measure the impact of the Lindau meetings? This is a question also for gatherings like the World Economic Forum in Davos, Switzerland, businesses like Google and institutions like the University of Oxford. Measuring the impact will require two things: first the network needs to stay connected. Second, the method of measuring impact needs to be made uniform. The network infrastructure is already in place. I propose two ideas for cataloging impact from the meeting next week. Keeping the network connected In the 1960s, global consulting firm McKinsey & Company began an alumni group that now includes upwards of 230 CEOs of companies worldwide. Lindau Nobel Laureate meetings could approach similar proportions through its alumni directory (still in beta phase). 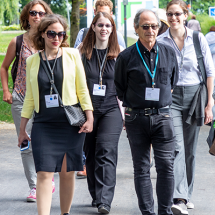 Meanwhile, student researchers, committee members and Nobel Prize winners can join the LinkedIn group “Lindau Nobel Laureates Meetings Alumni.” These networks are important because they are more easily accessible than the business cards that will be exchanged. Measuring impact Many conferences I’ve been to email a questionnaire to participants after the last session has ended to ask what they plan to use and actions they plan to take as a result of the meeting. While this information-gathering is important, it does not record actual events that have taken place. One way that impact can be measured could be through tagging Lindau-related achievements or actions throughout the year with the current Twitter hashtag (#lnlm13). This is also a way to keep a conversation going among the network. 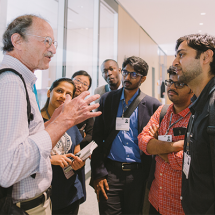 A second way to catalog events is to tap data visualization experts such as Robert Kosara to create a software program that would show how Lindau meeting connections have led to meeting others or new projects. For example, Martin Chalfie has mentioned that he worked under the tutelage of other Nobel Prize winners. It would be nice to be able to visualize these connections and see how to expand and improve them. Finally, a more informal way to measure impact is to tally the total number of photographs that are posted under the Lindau meeting tag on sites like Flickr. This is a good metric of how fun and inspiring the meeting is for participants. No one will post photos if they are not having fun! I look forward to hearing any other ideas about how to keep tabs on all of the ideas and connections coming from this special occasion that will happen after we hear the last lecture. Kathleen Raven reports on cutting-edge solid tumor cancer drug developments and clinical trials for BioPharm Insight, owned by The Financial Times Group, in New York City. She’s previously written for Reuters Health, Scientific American, MATTER, Nature Medicine and other U.S. publications. She has been a recipient of the following short-term reporting fellowships: National Academies Keck Futures Initiative, Goethe Institute, Fulbright Berlin Capital and Falling Walls. She has two master’s degrees from the University of Georgia in Ecology and Health & Medical Journalism.